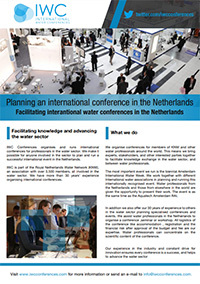 IWC organises and facilitates international conferences for professionals in the water sector. We make it possible for anyone involved in the sector to plan and run a successful international event in the Netherlands. IWC is part of the Royal Dutch Water Network (KNW), an association with over 3,500 members, all involved in the water sector. We have more than 30 years’ experience in organising international conferences. In addition to organising conferences and events, IWC supports companies and organisations in the creation of a successful meeting. We offer assistance when it comes to devising an appealing a concept, writing to the sponsors and event registrering participants. Development and realisation native mobile congres App. The processing of conference registrations and invoicing. Very extensive database and newsletters. Please fill in your correct contact details in order to receive detailed information and news about our conferences. 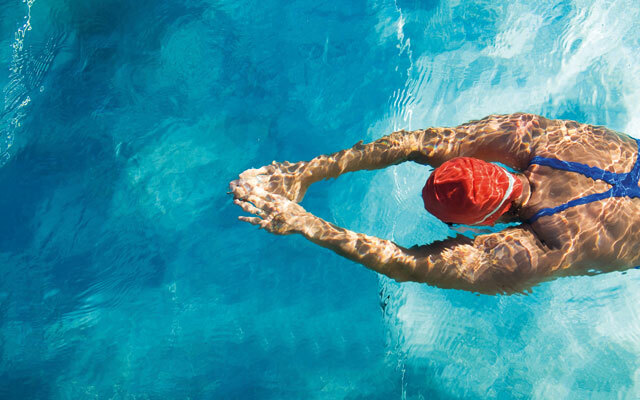 Would you like to be informed of the latest IWC news? Subscribe to our free newsletter. You will receive one or two times a month a summary of the latest news and background of future conferences.